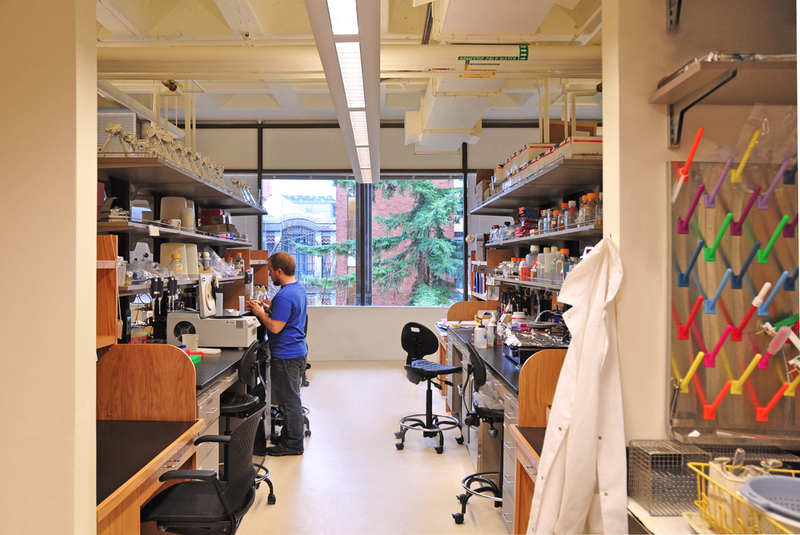 The Nolen Prehoda Integrated Laboratory evolved out of a previous molecular biology lab design for Brad Nolen at a different location within the science complex at the University of Oregon. To improve the efficiency of the project, both program and budget, the idea was generated to look for ways to combine the Nolen Lab with another research lab on campus. Ken Prehoda’s biochemistry work on yeast was identified as an appropriate fit for an integrative lab. The design seamlessly integrates the two independent research groups with optimized resource allocation that is shared by both entities. The overlap of these two labs captures the quality of the integrative science experience. Dedicated spaces for interaction paired with shared circulation that facilitates those chance encounters feeds interaction into the multidisciplinary research environment. The resulting lab is something greater than the sum of its parts. And the theory is that the same will apply to the research that the lab generates.